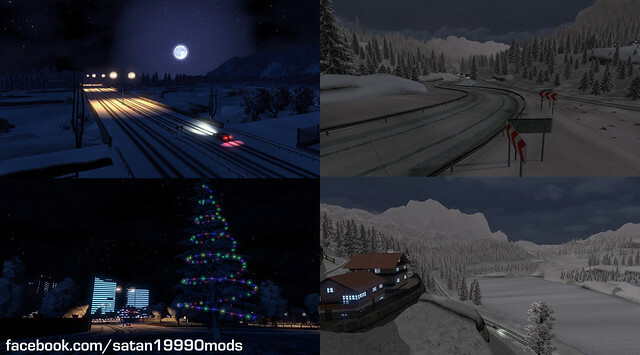 The new edition of the long-awaited winter mod to ETS2! In this version I focused on refining the details, especially the weather, time of day, and on adding more winter climates. This year, the mod has been split into 3 parts so that everyone can find the best version for himself. 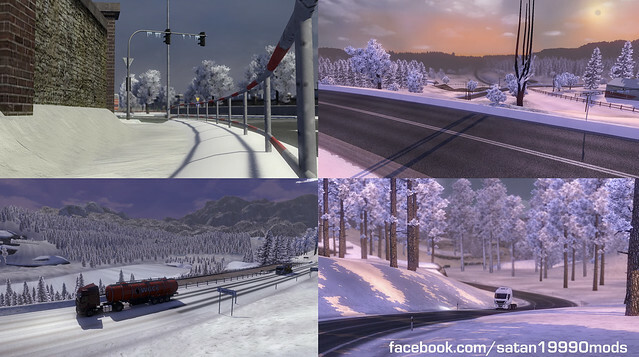 Complete Winter Mod v2.0 [ADDON] more snow on asphalt - part of the mod which adds more texture of the snow-covered asphalt, adding a snowplow, snowed wheels, etc. Do not change over driving physics, the car will behave like a normal asphalt. 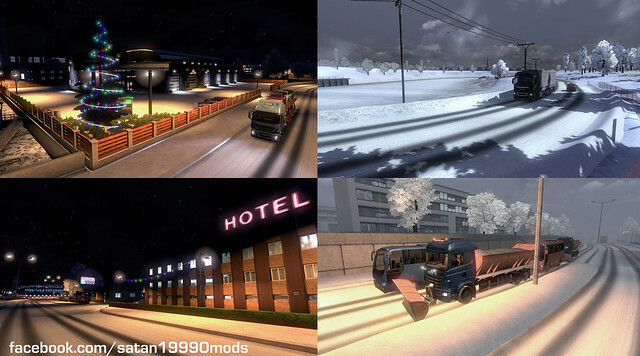 Complete Winter Mod v2.0 [ADDON] Extreme - change the driving physics in the game, it is very slippery, slow motion AI. CWM_HDR_FIX - if you use HDR, and snow is too bright, use this file. - Added Christmas decorations, lights, Christmas trees, etc. - Remove cows, bales of straw, harvesters etc. New mod version in first post.